Welcome to the La Quinta High School Library and Media Center! Share book reviews and ratings with LQHS, and even join a book club on Goodreads. 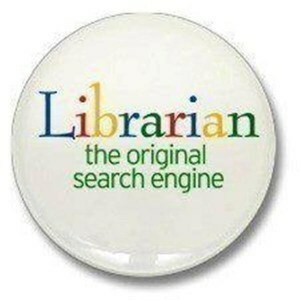 Check out our Online Library Catalog! Click on the link above to suggest books or other materials that you would like to see in our Library! *NEW*NEW*NEW* - New Resources Available! Here is the link for access to Ancestry.com to be used for classroom projects. Looking for the Library? We are located in the brown portable across from the Boys Locker Room. Come on over and visit us soon! Tutoring (in all subjects) is offered in the Library on Mondays and Wednesdays after school. Please stop by and look for the students with CSF lanyards...they will be happy to assist you! We've got you covered! Students, staff members, and families are able to take advantage of our subscription to Gale Student Resources in Context, an academic research database. Please click on Databases/Research Links to the right to access it. You can use it anytime, on campus or off campus. Note - you will need a password to access Gale off campus. Find great teen books from YALSA's book awards and book lists. Mondays, Tuesdays, Thursdays - 7:00 a.m. - 5:00 p.m.
Wednesdays - 8:27 a.m. - 5:00 p.m.
Fridays - 7:00 a.m. - 2:48 p.m.
*Note - The Library may be closed at various times, due to meetings, trainings, etc. Teachers may sign up to visit the Library with their classes. Please feel free to do so by e-mailing Ms. Dela-Xiong at mdela-xiong@ggusd.us. The La Quinta High School Library Media program is fully integrated into the school's curriculum and is central to the learning process of all students. The program promotes student academic achievement towards meeting state content standards and ensures that students and staff can effectively use and access ideas and information. Current up-to-date information in the form of print materials and online resources are available to students and staff.